Woohoo! My Body Fat percentage finally crossed the 17.0% threshold. This morning it dropped 0.4% to 16.9%! My weight dropped 0.6kg to 67.0kg, my Body Water rose to 57.1% and my Body Muscle rose 0.2% to 43.2%. The exercise last night followed by salad, vegetables and a handful of almonds really did the trick. Not only that, since last night I’ve been feeling really energised. I feel great. I started my day with a hot lemon juice drink. I then fried some red quinoa (also known as Inca Red Quinoa) in hemp oil, and then boiled it for 20 minutes. Red quinoa, takes a bit more work to prepare. It’s also rarer to find compared to white quinoa which is more commercially available. Red quinoa comes out crunchier than white quinoa. 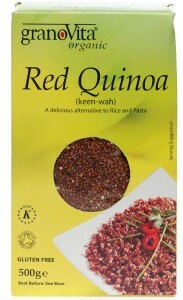 Despite Inca Red’s rarity I do prefer the texture and taste of regular quinoa. I’ve decided to spare the almond milk as a cold beverage treat and instead used coconut milk today with blueberries in my quinoa breakfast with agave nectar. 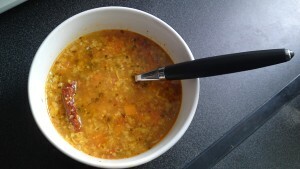 For lunch I had Urid dal with some almonds just before going to the park to do a 20 min HIIT session on the cross trainer. While I was waiting for dinner I ate a banana. My family came around to break their fasts at my house today. My father-in-law had given my wife some money to treat them during Ramadhan. Normally I would have served them meat without any potential issues. This time I did wonder for a bit whether to cook and serve meat or not. A few days ago my wife requested Fish and Chips. She’s generally been eating vegetarian while I’ve been on this detox, but think she was missing her meat. So I bought her some. As my wife had already eaten fish in the flat it seemed hypocritical if I turned around and said I’d only serve them vegetarian food. My dad swayed my doubts towards cooking meat by calling me and saying that as the family are fasting they will not feel satisfied with just a vegetarian meal. I personally think this perspective of theirs is just in their mind. 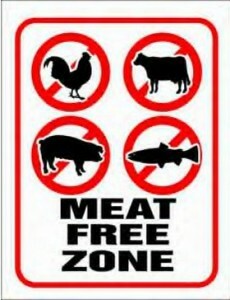 But my family do tend to become carnivores during Ramadhan. The main thing that seemed a problem to me was the fact that I’m the one who normally makes lamb chops, chicken tikka or tandoori chicken for my family when they come. I wasn’t sure how I should feel about making and serving them the meat. I guess as I’m considering the possibility of going back to eating meat after the detox, it’s a bit more understandable for me to do so. I decided to make chicken tikka for them. At first I suggested to my wife that I would prepare the marinade and that if she wouldn’t mind handling the meat i.e. washing it, cutting it and covering it with the marinade I was going to mix. She agreed. So while she washed and cut the meat I made the marinade. By the time we were both done, I had noticed that I didn’t feel particularly repulsed by the dead meat. Actually I have to admit I felt a desire to eat it. It actually looked nice. Also I’m very particular when it comes to preparing food for other people. I’m a bit of a perfectionist, and since I am the one who normally prepares this dish I wanted to make sure that marinade was put on properly on each piece of chicken breast. So at the end of the day despite all the herbivore versus carnivore thoughts in my mind I decided to coat the chicken breast pieces with the marinade myself. It turns out I did good, well in the eyes of the carnivores I did. In the eyes of herbivores I no doubt committed an unforgivable sin. 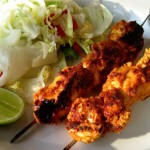 One of the dishes that got the most praise from my family was the chicken tikka. The other dish that got praise was my wife’s urid dal. While my carnivorous family devoured meat for dinner I had whole grain basmati rice, urid dal, vegetable curry with salad and black Turkish olives. 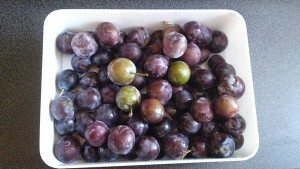 For afters I had a couple of Iranian and Tunisian dates and a bowl full of organic British plums from my dad’s garden. These plums are small but so much sweeter than what you’ll get in a supermarket. With my meal I drank fresh carrot and apple juice. They were organic British apples also from my dad’s garden. 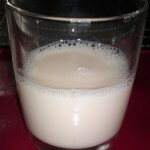 Before going to bed I had a glass of almond milk. Gorgeous. My weight dropped 0.5kg to 67.6kg. My body fat dropped 0.3% to 17.3%. My body water rose to 56.8% and my body muscle rose to 43.0%. I started the day with half a glass of POM Wonderful’s 100% Pomegranate juice, followed by red quinoa with almond milk and agave nectar. Through the morning I had a couple of Redbush teas with the aim of aiding my writers block (perhaps I should have also tried some low GI form of carbohydrate). I also had a peppermint tea. For lunch I had vegetable soup. I later snacked on half a handful of almonds and throughout the day I had some Iranian dates here and there. Pre-workout I had a vegetable curry with buckwheat. I finally ventured out to the park for my first workout in 11 days since Day 19. This seems to happen to me a lot. When I start something and commit to doing it regularly, I’ll start strong, but then something dramatic happens in my life, like my grandfather passing away and the event derails me from my routine. This has happened many times before. I guess the challenge is to try and keep faithful to the good that one has started regardless of the other things happening in one’s life. My workout was tough. I felt so weak compared to when I last worked out. 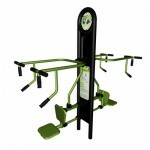 When I was doing the Lat Pull Down’s which I normally find the easiest I felt really weak. Actually I felt like a patient who’s been in a hospital bed for a few weeks and hasn’t used his muscles in a long time. I felt vulnerable like I might tear a muscle or break something so I took it easy. I did half the reps I did last time I did this exercise. The days are getting shorter and the colder. I’m thinking of skipping the hour long walks and commit instead to longer HIIT sessions on the cross trainer. Today I did a HIIT session on the cross trainer for 15 min. While doing this again I felt quite weak and lacking in energy. I felt a tingling feeling in my figures as I gripped on the handle, and just didn’t have that much energy or strength in my legs to peddle as fast as I normally can. Having taken this significant break from my workouts I can now really appreciate how wonderful I was feeling towards just before my grandfather passing away. 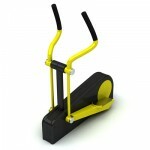 I was more energised, I felt stronger, more athletic. I felt more confident and sexual too. I saw a significant boost in libido. Not only that, I witnessed overall improvements in sexual health and function. Stopping my exercise and going onto the poorly planned daytime liquid diet however reversed this process and I ended up feeling drained of the life force energy. 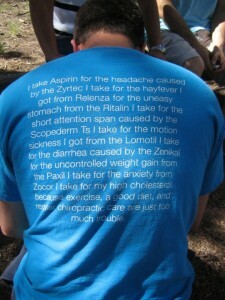 Why don't I just pop a pill? I may have felt weak during my workout. I may even have dreaded the thought of going out in the cold and putting energy into the workout in the first place, but later in the evening I felt full of energy. So much so that I couldn’t sit still and write. I wanted to move about to the music I was listening to instead. I am glad I resumed my workouts and started to eat properly again. It makes all the difference. Next time I feel, down, depressed, feel as though I may be coming down with something, rather than reach for the first aid box and popping a pill, I will try to examine my diet and see where it might be lacking in nutrients, which may well be what is leading me to feel that negative way. I will also assess my lifestyle, is it too sedentary? Am I exercising enough? Post workout I tried my MyProtein brown rice protein for the first time. I made a carrot and apple juice and mixed the brown rice protein with it. Though it didn’t taste that bad, the grittiness of the protein felt like I was consuming a puddle of wet mud. It certainly didn’t taste as good as the Biochem 100% Vegan Protein. But the fact that I bought protein without any flavourings added to it meant that I could combine my protein shake and post workout juice into one beverage. Very convenient, and the myprotein option is a lot cheaper too. For my evening meal I ate corn on the cob with some salad. I didn’t have anything protein to go with it. In the evening I snacked on some mixed seeds and before going to bed I ate a handful some raw almonds. I’ve managed to keep my body stats constant today despite the lack of exercise. All my readings stayed identical: Weight: 68.1kg; Body Fat: 17.6%; Body Water: 56.6%; Body Muscle: 42.8%. I started the day with a hot lemon juice drink. I think I might need to get myself some straws as it feels as though the citric acid in the lemon juice isn’t doing my teeth any good. 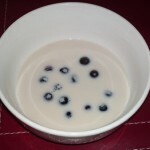 For breakfast I had red quinoa, with almond milk and blueberries. Almond milk isn’t cheap. It cost me £3.19 for a 1 litre carton from Holland and Barrett, which is cheaper than the £3.35 it would have cost me from my local health store, Health Mantra. Normally I would probably have been put off by the price. But as I am doing this detox, I want to explore alternatives to the many things I have banned from my diet. So I spent almost £10 on Almond Milk, Hazelnut Milk and Quinoa Milk. So far I’ve only tried almond milk. It does taste very nice indeed. However it seems to lose its delicate taste upon heating. At over £3 per litre it’s not something I can consider as a permanent replacement to dairy milk in cereals and tea etc. However it does taste delicious enough for me to treat myself to a glass of this beverage every now and again. I am so glad I went on this detox. At first it may seem restrictive, it can be looked upon negatively as if I can hardly eat or drink anything. On the contrary it has liberated me. I have discovered so many delicious new foods I would never have tried before as they belong to different cultures of eating. This detox has allowed me to get out of my comfort zone and explore the world of food. 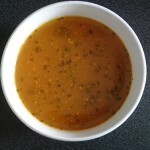 For lunch I finished the vegetable soup and drank caffeine free teas through the day. In the evening I went to my parents’ house. My brother is still in London visiting for a week and my mum and nan just returned from my grandfathers funeral in Pakistan. 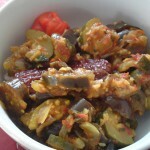 At my parents house I ate red lentils, karela with onions and some salad. 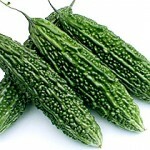 Karela (or bitter melon) has long been used in India folk medicine and South America for the treatment of diabetes. 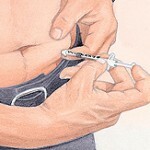 I discovered today that my dad may have to start injecting himself with insulin. He was diagnosed with Type 2 diabetes about eight years ago. Is his pancreas starting to pack in? When you eat something, the carbohydrates (sugar) are absorbed from the intestine into the blood stream. 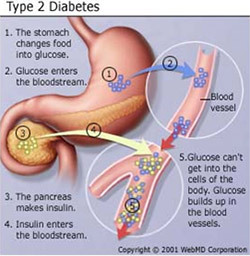 When the body detects this increase in blood sugar level the pancreas responds by excreting insulin. When you eat a fast digesting carbohydrate/simple carb (high GI) a lot of sugar is released quickly into your bloodstream. On the other hand when you eat a slow digesting carbohydrate/complex carb (low GI) it is digested more slowly and released into the bloodstream at a slow steady rate. 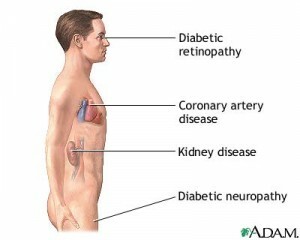 Most cells of the body have insulin receptors which bind with the insulin which is circulating in the blood. 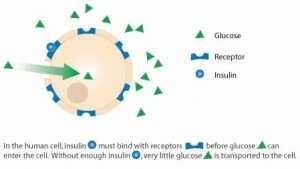 When insulin binds with a cell, the cell then activates other receptors which then absorb the sugar from the blood stream into the cell. Without insulin you can eat as much as you like but still be in a state of starvation because the body’s cells are unable to access the energy from the sugar circulating in the blood. 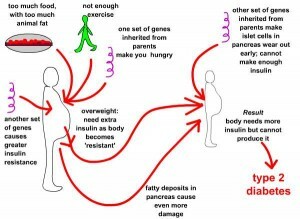 This is why people who have Type 1 diabetes can become very ill if they do not take a shot of insulin as their pancreas is unable to produce insulin by itself. 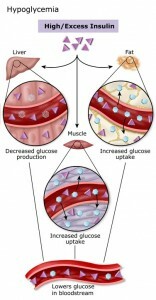 Without replacing insulin, the body will start to burn up its fat stores and within a few days this will lead to diabetic acidosis, which is life threatening. Too much insulin however can lead to low levels of blood sugar that can lead to hypoglycaemia (not to be confused with hyperglycaemia – which is the opposite i.e. high levels of blood sugar) . The symptoms of hypoglycaemia are paleness, shaking, shivering, perspiration, rapid heartbeat, hunger, anxiety, blurred vision, a feeling of weakness, agitation, difficulty concentrating, irritability, fatigue, temporary loss of consciousness, confusion, convulsions, and coma. To avoid this, a diabetic should always carry food with sugar with them, preferably a high GI form so that it is digested quickly if the warning signs appear. I have seen my father experience this before. We were sat in a van in Iraq. 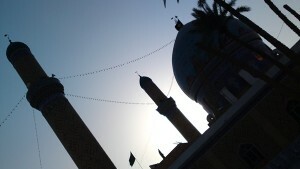 I think it may have been the day we saw many historical sites in Iraq, including the shrine of our ancestor, Zaid ibn Ali, from whom we get our surname, Zaidi . Our tour guide was being a bit stingy and refused to feed us lunch even though that had been part of the agreement when we paid him. We were on a long journey and my dad hadn’t eaten for a few hours. It was well past lunch time and the last time we had eaten anything was breakfast. My dad was one minute talking then all of a sudden he said “Ya Ali Maddad!” slumped in his seat while his eyes were still open and went unconcious for a few seconds. 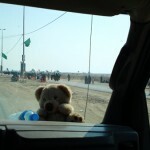 At the time I had thought that maybe he had an anxiety attack after seeing some of the millions of Iraqis who were walking from Karbala to Najaf (90km) to commemorate the death of Muhammad and the martyrdom of Hassan son of Ali. But now having informed myself about diabetes, it is obvious to me now that my dad had actually experienced the symptoms of hypoglaecymia. People with Type 2 diabetes can produce insulin fine, however their cells do not react well to the insulin that is available in the blood and therefore the cells do not absorb the sugar in the blood well, leading to high blood sugar levels. Early in the disease process oral medications can be used to either increase insulin production or decrease insulin resistance in the cells. In the early years the pancreas will also automatically produce more insulin to compensate for the insulin resistance of the cells. 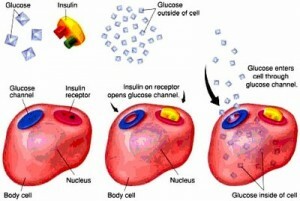 Occasionally, insulin shots may be used in Type 2 diabetes to overcome the resistance of the cells to the insulin. As time passes the pancreas can lose its ability to produce insulin and insulin shots become necessary to manage glucose levels in the blood. Sugar in the blood is not all bad. The brain runs purely on glucose and doesn’t have the ability to store it as do the muscles and liver. But before you go and munch on a candy bar to boost your brain’s long term memory, a slower release of glucose to the brain (low GI) has a much better effect compared to a high GI food. Read this brilliant webpage on how Carbohydrates Fuel your Brain. It’s not only high GI carbohydrates that trigger the release of insulin from the pancreas in the blood, but so do low GI carbs and proteins. Check the Insulin Index to see the effect of different foods on actual insulin levels in the blood. There is a genetic predisposition to Type 2 diabetes. Considering my dad and my mother’s father have/had Type 2 diabetes, there is even more reason for me, my brother and my sister to fight the flab. Being fat plus being related to someone with diabetes significantly increases the probability of getting Type 2 diabetes. 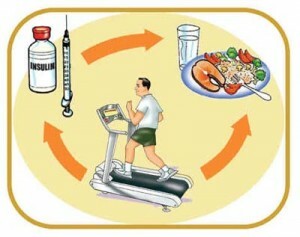 Up to 80% of diabetes can be prevented by eating a healthy diet and exercising regularly however. So Billy and Madz, lets sort it out shall we? Before it’s too late? And mum, I think the whole family including you and nan will benefit if you support dad in his need for a change in lifestyle. Finally a link for my dad and anybody else who has diabetes. The best blog and perhaps overall online resource I have stumbled upon concerning diabetes is the blog of David Mendosa. Not only has he changed his lifestyle to manage his type 2 diabetes but he freely shares his insightful research on diabetes for the benefit of others. It looks like my lack of exercise over the last 8 days is finally taking its toll on me. My weight stayed constant at 68.1kg however my Body Fat rose by 0.4% to 17.6%, my Body Water dropped to 56.6% and my Body Muscle dropped 0.3% to 42.8%. It was my day off, but as I haven’t been doing any exercise this week and still behind in my posts I resolved to stay focused and get as many posts completed as possible. I bought a bottle of POM Wonderful’s 100% Pomegranate juice the other day. I want to restrict my high GI fruit juice consumption to when my stores of energy are depleted. In theory this state is either first thing after you’ve woken up, since you’ve slept for eight or so hours without eating anything or straight after an intense workout. As I have not been working out this last week the best time for me to consume a high GI juice was therefore first thing in the morning when I woke up. 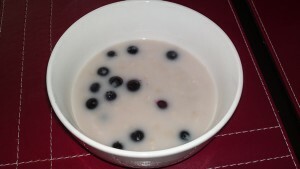 After my pomegranate juice I then had buckwheat with rice milk, blueberries and agave nectar. I discovered buckwheat tastes better in a savoury dish rather than in a sweet breakfast cereal type dish. Quinoa on the other hand is really versatile as it works well both in sweet and savoury dishes. During the day I had red lentil and buckwheat soup, herbal teas, some mixed nuts and seeds. I also snacked on banana chips and Iranian dates. In the afternoon, my wife wanted to watch Toy Story 3 at the cinema. I had got quite a bit of writing done by this point and decided we both could do with some chill out time. At the cinema I shared pack of chilli flavoured maize snacks and banana chips with my wife. Toy Story 3 is a really good cartoon. I highly recommend watching it. Maybe I shouldn’t admit this but it nearly had me in tears in certain scenes. It reminded me of my toys as child and the attachment I had to them. I could totally relate to Andy’s attachment to his toys and his reluctance to let them go. If you do go to watch it don’t bother watching it in 3D. It didn’t seem to add anything useful to the experience. If anything it took from the experience as the glasses can be really annoying at times. The only movie that I have watched which I would recommend watching in 3D is Avatar. In fact I think you’ve missed an experience of a lifetime if you didn’t catch Avatar at a cinema in 3D. In the evening I bought my wife some fish and chips and she made me a really delicious vegetable soup. POM Wonderful make many health claims about their product. It was the image of POM’s bottle on a graph compared to other drinks high in antioxidants on the packaging of the bottle that attracted me to give it a go. 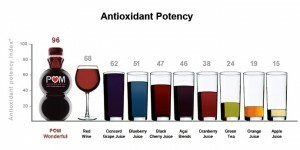 Antioxidants fight harmful free radicals. Free radicals have been found to be responsible for aging, while consuming antioxidants has been found to increase lifespan. POM Wonderful’s pomegranate juice claims to have more antioxidants in it than other pomegranate juices because they juice the inedible part of the pomegranate as well as the arils. This process will account for the juice’s tart taste. Those are the pros of POM Wonderful’s 100% Pomegranate juice. However as with anything there are also cons. It is high in sugar. A 240ml serving contains 34g of sugar. A serving of 240ml of Coca Cola in comparison contains 39g of sugar. 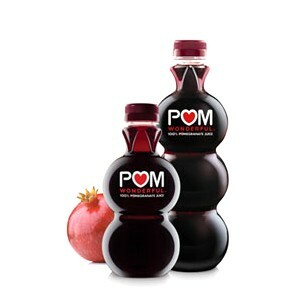 Though Coca Cola doesn’t have the vitamins, minerals and antioxidants that POM’s 100% Pomegranate juice does. Another negative about POM Wonderful to be aware of is that they have in the past received a warning letter from The Food and Drug Administration (FDA) saying that they should not make claims about their product as if it were a drug without first being approved by the FDA.